This sign is 14 inches and made with pine plywood and stained. 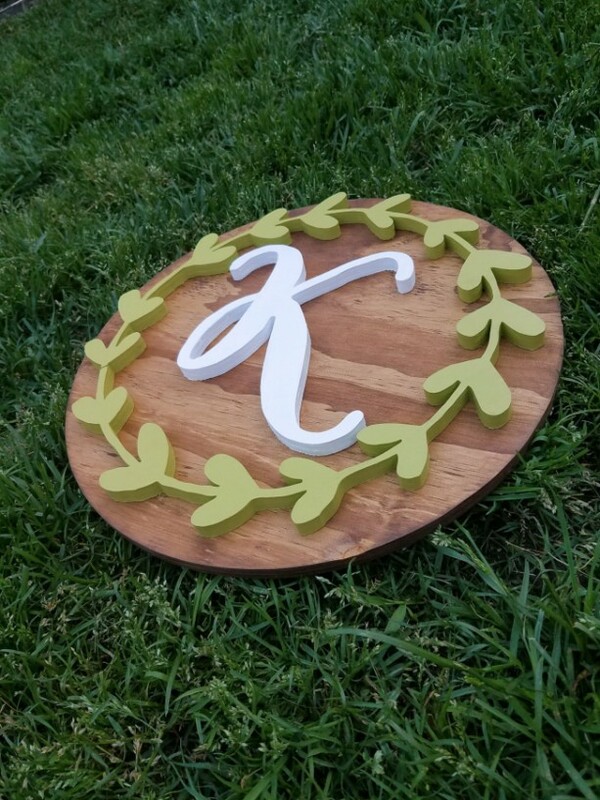 The initial and greenery are handcut with pine plywood and painted. 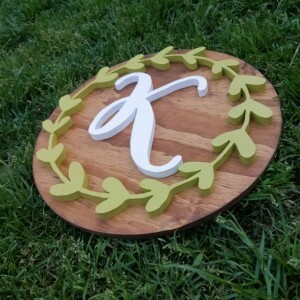 The initial is painted white and the greenery is painted green. 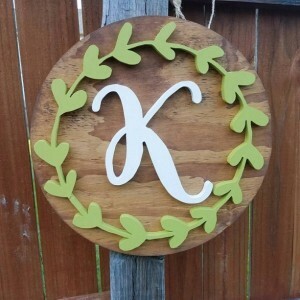 Please let me know your initial in the note to buyer section. A sawtooth hanger will be attached for easy hanging. All my pieces are made to order. There is a two to three week turnaround for this piece.